Flags Australia is the operating name of the Flag Society of Australia Inc, which is a not-for-profit incorporated association that brings together individuals interested in researching, preserving and publishing information on Australian and international flags. The study of flags is called vexillology. 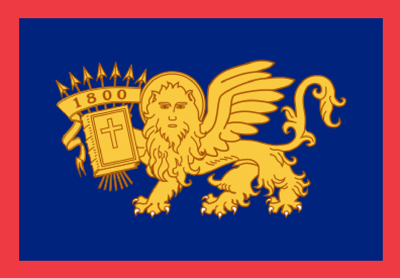 The Flag Society of Australia was established on 20 August 1983, in Melbourne, Victoria. The society is non-political and maintains a strict neutrality with regard to the continuing "Australian Flag Debate" - the question of whether or not the Australian flag should be changed. However, Flags Australia takes a keen interest in the issue and has published flag information about the Australian national flag and its usage as well as possible new flag designs. Flags Australia has subscriber-members in most of the states and territories of Australia and overseas. Informal meetings of members are held each three months in Melbourne and Sydney and visitors are welcome. Australia has had a surprisingly large number of flags during its relatively short period of recorded history. Whether for the collector, hobbyist or vexillologist, Australian flags are a rewarding field to explore. Flags of the world, past and present, are also an important part of Flags Australia's interest. In June 1984, the Society commenced regular publication of its official journal, Crux Australis, which is produced four times each year. The first and only authoritative flag publication produced in Australia, Crux Australis contains articles about Australian and international flags and associated matters. Flags Australia is a member of the International Federation of Vexillological Associations ("FIAV"), under whose auspices International Congresses of Vexillology (ICV) are held every two years. Flags Australia has been represented at every congress since the 11th ICV in Madrid (May 1985). In September 1989, the Society hosted the 13th ICV in Melbourne and it hosted the 26th ICV held in Sydney 31 August to 4 September 2015. For link to ICV26 website click here or image below. In 1990, the society published a chart of the Flags of Non-Independent Peoples. A sequel chart, Flags of Aspirant Peoples, was published in 1994 by Vexventures. Both charts contain current and historical flags. 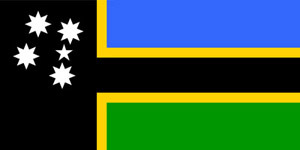 The society also supported the locally published Flags of Paradise Chart in 1996 and Flags of Empire - Flags of Commonwealth in 2001. These charts have current and historical national and regional flags of the Pacific Ocean region and the Commonwealth respectively, many for the first time on one chart. Click on the link Vexventures for more information. The Flags Australia business name and website were acquired in 2000, and the Society has primariliy operated under the Flags Australia name since 2006. Pages on the www.flagsaustralia.com.au website are consistently rated in the top searches by Google and other search engines. 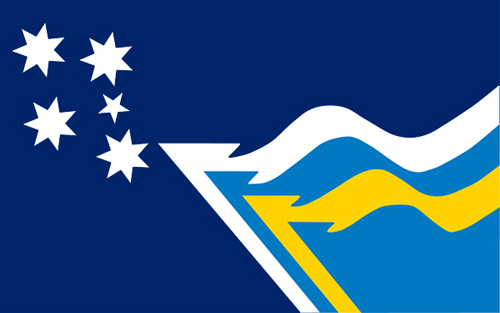 Flags Australia assists in making available for sale the flag of the Australian South Sea Islanders (ASSI), which was designed by the editor of Crux Australis, Tony Burton. Details are available here, including information on how to purchase the book. 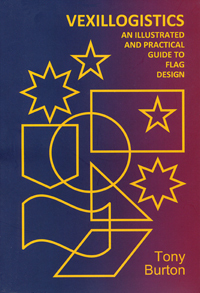 A book on flag designing was published by Tony Burton in 2015. Vexillogistics is a practical guide to flag design, perhaps the only such publication of such detail in existence. Profusely illustrated, it explains the unique aspects of flag design with detailed information on design elements and the pageantry and significance of flags. Details are available here, including information on how to purchase the book. Flags Over Kythera by Ralph Kelly, the webmaster for Flags Australia, has been published in February 2015 issue of The Kythererian, the newsletter of the Kytherian Association of Australia. A copy of the article is available here. Consulting services and flag artwork have been provided for a number of publications, events and government entities. These include the National Australia Bank which for a number of years published a poster of world flags, The Readers Digest and Random House for whom Ralph Kelly of Flags Australia provided the drawings on world flags for their respective atlases. For the 2001 Goodwill Games in Brisbane, a Flag Training Handbook was prepared by Flags Australia for the volunteers training manual. Flags Australia has also provided flag experts to assist in the judging of various flag design competitions. Flags Australia mounted a major public exhibition of flags and posters in the John Paynter Gallery, Hunter Heritage Centre, Newcastle for Australia Day 2005 which featured historical Australian flags. A smaller display of Australian flags was held in the foyer of the Hunter Heritage Centre for Australia Day 2006. We in Flags Australia are always happy to answer any enquiries about flags, or to come into contact with others interested in flags. All correspondence should be sent to either of the addresses shown on our contact page and will be answered as soon as possible. Member news and meeting information is available here. The principal emblems of Flags Australia are its flag and its logo. These and derivative approximations are copyright and may not be reproduced without permission or consent from Flags Australia. The logo was adopted from the Society's flag which was adopted on 26 September 1989.